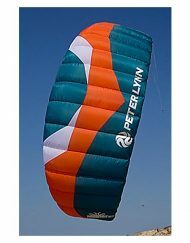 From the Manufacturer: The Peter Lynn Hype Trainer is the perfect kite for a day out with the whole family. 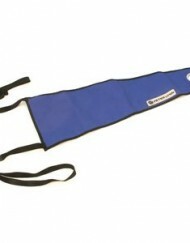 The Hype is the two line bold brother of the regular Peter Lynn Hype. 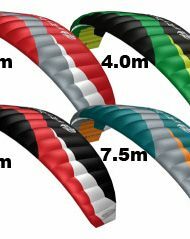 Next to having some cool colours, it is equipped with a two line control bar instead of wrist straps, giving the kite a tougher overall look and feel. 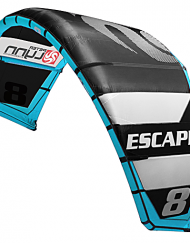 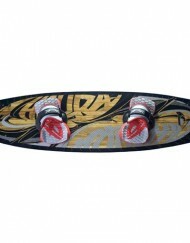 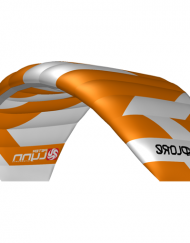 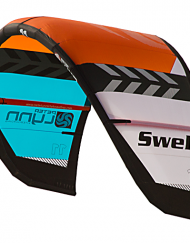 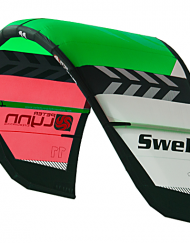 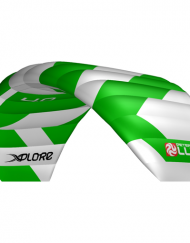 It is incredibly easy to set up and fly and is often used as trainer kite for kiteboarding. 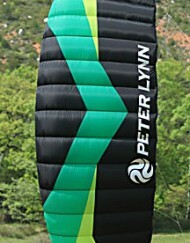 The Peter Lynn Hype is suitable for all ages and skill levels. 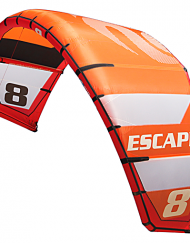 Flying this kite does not require any prior kiting experience as its docile flying behaviour ensures there are no sudden power surges when flying the kite through the wind window. 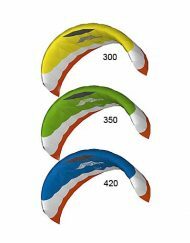 This brawny version of the smaller Hype will surely inspire lots of kids to make a safe but serious start into kite powered sports. 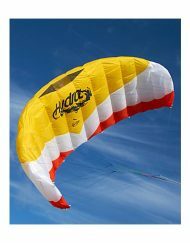 The Peter Lynn Hype Trainer is the perfect companion for some easy going flying fun while learning the basics of flying a kite on a control bar. 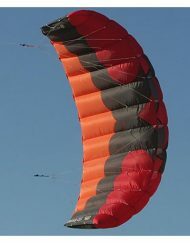 While the Peter Lynn Hype Trainer is a very friendly kite, it does have some power, especially in higher winds. 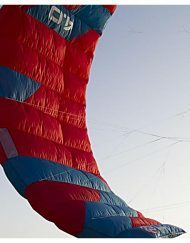 As every kite flier is likely to crash their kite sooner or later, especially when starting out, it is important that the kite is easy to re-launch. 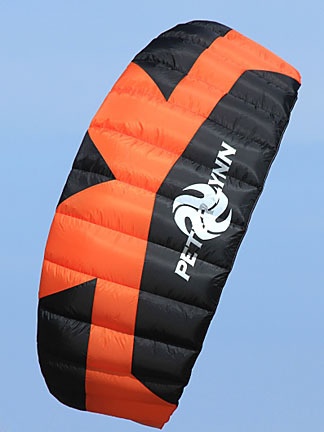 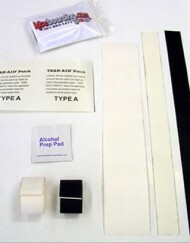 Another important feature in any beginner kite is stability..
Peter Lynn Hype Trainer Kite. 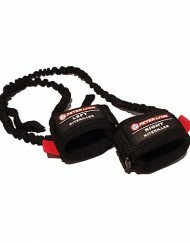 Peter Lynn Hype Hype Trainer Bag. 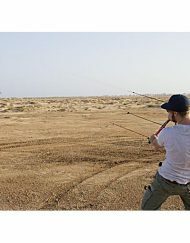 Pre-attached, colour coded, durable Dyneema® flying lines.